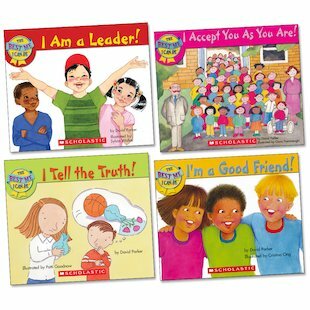 Another fantastic pack from the ever-popular series which helps children to be the best they can, this time focusing on social skills and group interactions. These books are perfect for developing children’s confidence and demonstrating positive ways to behave. In each simple book, lively examples show different situations where kids can excel. They can learn how to be a capable leader, discover why they should always tell the truth, find out how people all matter in spite of their differences – and learn the all-important lesson of how to be a good friend.